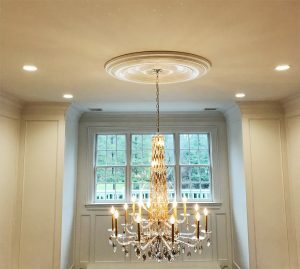 Neil from Oyster Bay, New York sent in his unique ceiling medallion project picture. 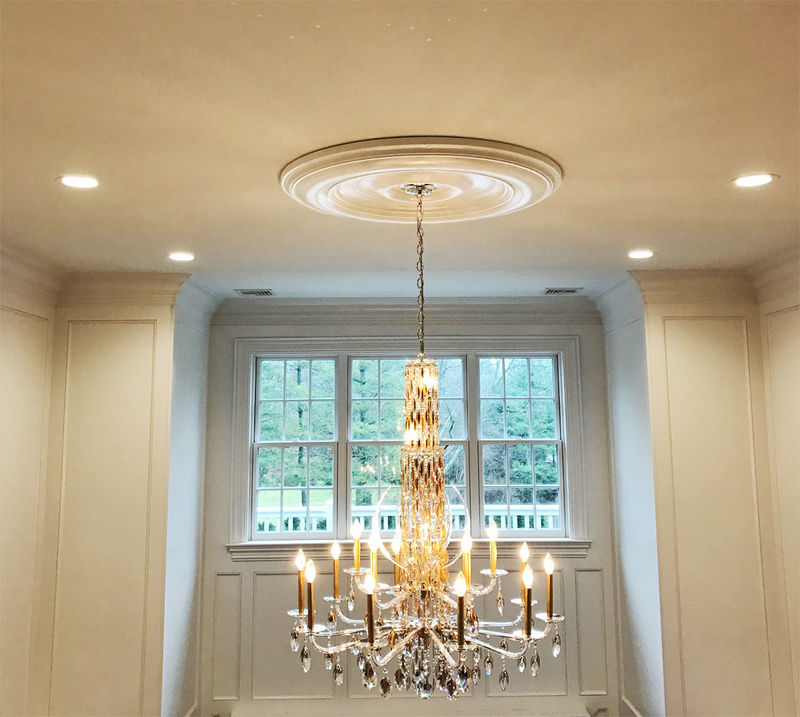 In his project, he paired the Ekena Millwork classic ceiling medallion with an exceptional light fixture. 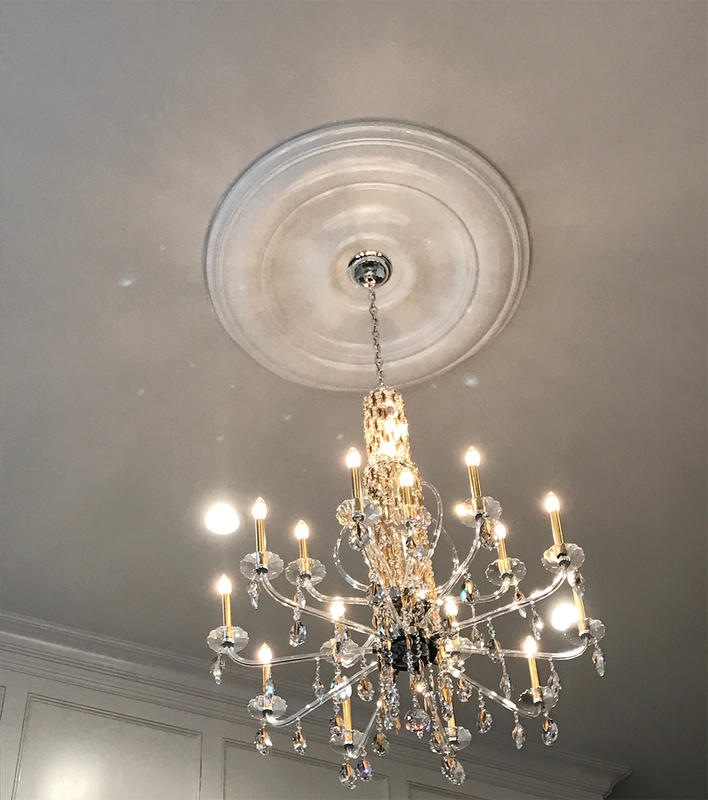 Delivered primed, the customer painted the ceiling medallion a flat white color. The combination of the ceiling medallion and the beautiful light fixture make it such an eye-catching piece of the room. The classic ceiling medallion is molded from durable urethane material. The benefit of urethane is that it is both lightweight yet a sturdy material. Typically, this ceiling medallion is used on the interior of homes; however, it can be used on the exterior. Customers can install the ceiling medallion with adhesive glue and finishing nails. Finally, the ceiling medallion will be delivered to the customer fully primed and ready to paint. Feel free to check out the full collection of ceiling medallions via the link below.